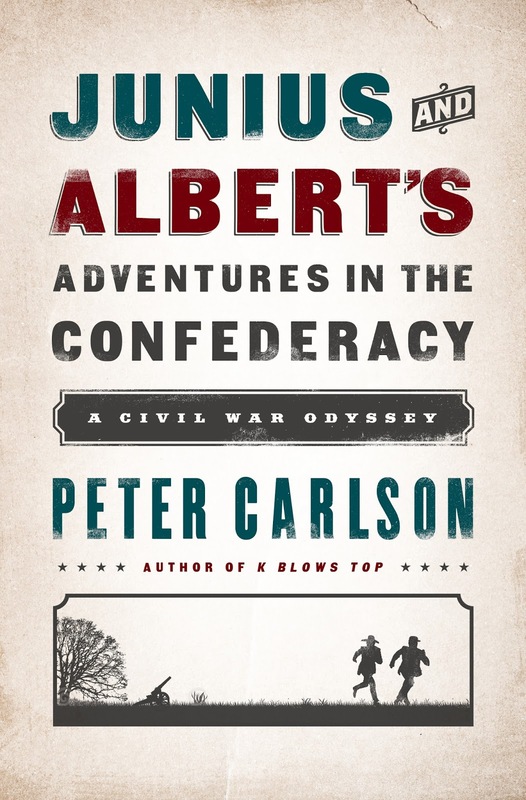 Junius and Albert's Adventures in The Confederacy: A Civil War Odyssey, Peter Carlson, Public Affairs Publishing, 288 pp., one map, $26.99. From the Publisher: The thrilling true story of a pair of reporters swept up in the Civil War, captured, and thrown into jail, and their attempt to escape and return home to file their own extraordinary story. Albert Richardson and Junius Browne, two correspondents for the New York Tribune, were captured at the Battle of Vicksburg and spent twenty months in horrific prisons before escaping and making their way to Union territory. 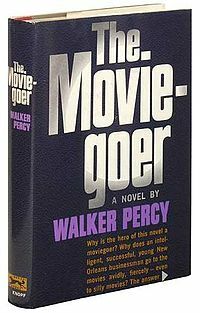 Their amazing, long-forgotten odyssey is one of the great escape stories in American history, packed with drama, courage, horrors and heroics, plus many moments of antic comedy. They must endure the Confederacy's most notorious prison; rely on forged passes and the secret signals of a covert pro-Union organization in North Carolina; trust a legendary guerilla leader; and ultimately depend on a mysterious, anonymous woman on a white horse to guide them to safety. They traveled for 340 miles, most of it on foot, much of it through snow, in twenty-six days. This is a marvelous, surreal voyage through the cold mountains, dark prisons, and mysterious bands of misfits living in the shadows of the Civil War. Peter Carlson is the author of K Blows Top, which has been optioned into a feature film. For many years, he was a reporter and columnist for the Washington Post. He has also written for Smithsonian magazine, American History magazine, and the Huffington Post. He lives in Rockville, MD. 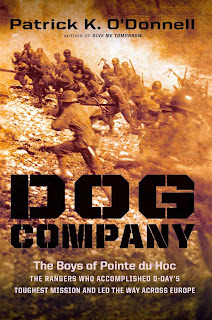 “Unspools like a buddy flick…Carlson’s story has so many twists, right up to the last page….But the exquisite plot is only one of the joys of reading this book….If there’s a flaw in this fine book, it’s that Carlson tells his story almost too well…. 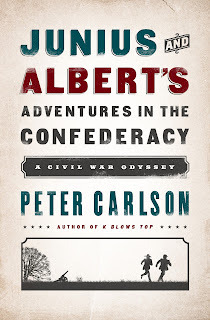 [This is] a rollicking read.” Tony Horwitz, author of Midnight Rising, and Confederates In The Attic. CWL first read the story of Richardson's and Brown's news reporting trek, capture and escape odyssey in George Cooper's 1994 Lost Love: A True Story of Passion, Murder, And Justice In Old New York. It is truely an amazing story in the same vein as the escape saga of several of the Andrews Raiders after their capture during the Great Locomotive Chase of 1862. Richardson continued career in journalism and subsequent murder is describe in Cooper's compellingly written true crime story. Hidden History of Civil War Tennessee, James B. Jones, History Press, paperback, 128 pages • $19.99, publication date, July 18, 2013. From the Publisher: Tennessee’s Civil War history is an oft-told narrative of famous battles, cunning campaigns and renowned figures. Beneath this well-documented history lie countless stories that have been forgotten and displaced over time. Discover how Vigilance Committees sought to govern cities such as Memphis, where law was believed to be dead. See how Nashville and Memphis became important medical centers, addressing the rapid spread of “private diseases” among soldiers, and marvel at Colonel John M. Hughes, whose men engaged in guerrilla warfare throughout the state. Join author James B. Jones Jr. on an exciting journey through the unknown and hidden history of Civil War Tennessee. James B. Jones Jr. is a public historian on the staff of the Tennessee Historical Commission/State Historic Preservation Office in Nashville. He has published many books and articles on many topics about Tennessee history, including but not limited to the Civil War. He serves also as the editor of the THC newsletter, the Courier. He earned a doctor of arts degree in history and historic preservation from Middle Tennessee State University in 1983. He resides with his spouse in Murfreesboro. CWL: The Civil War's sesquicentennial has been well served by History Press, based in Charleston, South Carolina. One of its several areas of focus is state and regional histories. History Press' offerings are well illustrated with period photographs and have narrative text and captions that is clear and concise. Fine examples of recent History Press' work include Civil War Pittsburgh: Forge of the Union, The Battle of Antietam, Civil War Winchester, Virginia and Civil War Frederick, Maryland. History Press' reliance upon local talent is exemplary. James B. Jones Jr. is a fine example of History Press locating the right author for the right topic; the publisher does not contract out ideas for books to non-specialist freelance writers who find most of their sources in encyclopedias and on the Internet. The forthcoming film 12 Years A Slave is based upon the incredible but true autobiography of Solomon Northrup of freedom, enslavement and escape. 12 Years a Slave was published in 1853 and reveals that a free black man was kidnapped in Washington D. C. in 1841 and worked on Louisiana plantations for 12 years before his release. In antebellum America, Northrup lived in upstate New York, was kidnapped and then sold into slavery. Northrup was purchased by a cruel master but experienced unexpected kindness from a variety of sources. Northrup's constant struggle is stay alive as a slave and retaining his dignity as a human being. A chance meeting with a Canadian abolitionist changes Northrup's odds of leaving slavery and returning to his home and family. Actors you may recognize include Brad Pitt, Paul Giamatti, and Benedict Cumberbatch. The trailer is located on MovieWeb. The full cast list, screenwriters and other credits are located at the Internet Movie Database. The screenplay is written by John Ridley who wrote the screenplay for Redtails and Three Kings. The book is available at Amazon.com is hardcover, paperback, audiobook,and Kindle editions. Also, in August 2013 Praeger Publishing will offer an annotated, 238 page edition of the autobiography. The following text is provided by the publisher. 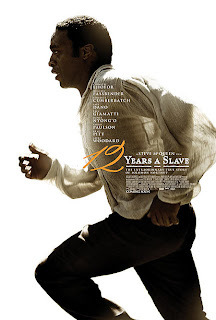 Solomon Northup: The Complete Story of the Author of Twelve Years A Slave provides a compelling chronological narrative of Northup's entire life, from his birth in an isolated settlement in upstate New York to the activities he pursued after his release from slavery. 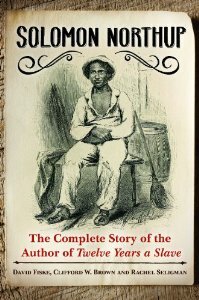 This comprehensive biography of Solomon Northup picks up where earlier annotated editions of his narrative left off, presenting fascinating, previously unknown information about the author of the autobiographical Twelve Years A Slave. This book examines Northup's life as a slave and reveals details of his life after he regained his freedom, relating how he traveled around the Northeast giving public lectures, worked with an Underground Railroad agent in Vermont to help fugitive slaves reach freedom in Canada, and was connected with several theatrical productions based upon his experiences. The tale of Northup's life demonstrates how the victims of the American system of slavery were not just the slaves themselves, but any free person of color—all of whom were potential kidnap victims, and whose lives were affected by that constant threat. 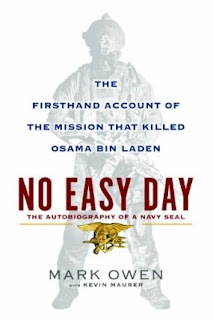 No Easy Day: The Autobiography of a Navy Seal, The Firsthand Account Of The Mission That Killed Osama Bin Laden, Mark Owen with Kevin Maurer, Dutton Publishing, 316 pp., 24 illustrations and maps, list of confirming sources, 2012, $21.95. Mark Owen is a pseudonym of former member of the U.S. Navy's Special Warfare Development Group [Seal Team Six]. No Easy Day is similar to the oral history work of Studs Turkel, a Chicago newspaper feature writer and bestselling author.. Kevin Maurer, an embedded writer with U.S. Special Forces in Afghanistan, is the co-author of the book. Owen describes his career and several of his Seal Team Six mission. The mission that killed Osama Bin Laden is described in the latter half of the book, which was written and published without clearance from the Department of Defense. After the September 2012, the identity of the author was revealed to be Matt Bissonnette and the Department of Defense confirmed this. Bissonette describes his early in Alaska, his long desire to be a SEAL and the rigors of his admission to Seal Team Six. His work in several operations, including the Maersk Alabma hijacking rescue, is described as well as the camaraderie, professionalism, and dedication of the team's members. Owen's participation in the raid that killed Osama Bin Laden is offered from a boots-on-the-ground perspective and is quite similar to the film Zero Dark Thirty. Furthermore the emotions, sights, smell and tremors of the events are delivered with a brisk and compelling narrative style. 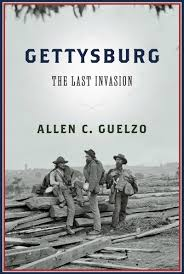 Gettysburg: The Last Invasion, Allen C. Guelzo, Knopf Publisher, 652 pp, 44 maps, 22 illustrations, bibliographic notes, bibliography, index, $35.00. 1863 in the Civil War was a year of turning points, such as the issuance of the Emancipation Proclamation, the battle Gettysburg, and the sieges of Vicksburg and Chattanooga. Readers may think that publishers would overwhelm the marketplace with related books, yet it is not so. No other Civil War battlefield park is visited as much as Gettysburg and this year there is only one book that takes up the challenge to comprehensively present the battle. Gettysburg: The Last Invasion meets the challenge. Written in a style that is friendly for general readers, Guelzo’s work also meets the standards of scholars. It is a remarkable achievement. At Gettysburg College, Allen C. Guelzo serves as the Henry R. Luce III Professor of the Civil War Era as Director of the Civil War Era Studies Program, and is the author of 11 books of Lincoln, emancipation, the Civil War and American Christendom. In Gettysburg: The Last Invasion, he sets forth the story in a clear, concise and compelling manner. From the conception of the campaign in the minds of Confederate military leader Robert E. Lee and Confederate Presiden Jefferson Davis through President Lincoln’s delivery Gettysburg Address, Guelzo looks at the campaign and battle from several interesting perspectives. Those who are only familiar with Gettysburg because of a school visit or the film Gettysburg will be comfortable with Gettysburg: The Last Invasion. Guelzo’s account is straightforward and does not require extensive familiarity with the battle. Those who have read Noah Trudeau’s 2002 Gettysburg: A Testing of Courage or Stephen Sears’ 2003 Gettysburg will be delighted by the amount of new information and perspectives in Guelzo’s work. One of the enjoyments of Gettysburg: The Last Invasion is the constant attention Guelzo gives to individual combat soldiers, commanders, and civilians. There is rarely a paragraph that does not contain direct remarks from participants. Describing the fighting during the morning and afternoon of July 1, Guelzo offers the testimony of many soldiers and seven civilian witnesses. At the college, student Martin Colver watches an artillery barrage from a third classroom window and is interrupted by a professor leading blue coated signalmen with flags and telescopes to the cupola. The college’s president Henry L. Braugher resigns himself to the failure of students to maintain attention during his lecture and dismisses them; soon a cannonball strikes the cupola where the signalmen are. Guelzo offers new and interesting remarks regarding a variety unique circumstances. He describes the non-combat duties performed by Africans Americans in the Confederate Army of Northern Virginia. Guelzo estimates the changing fog of war by calculating the time it takes to transmit an order from the division commander to the brigade commander, then to the regimental commander. Confederate troops’ discipline included their viewing five executions for desertion after the invaders crossed the Potomac River and enter Maryland. Looting the dead and wounded occurred during the battle. After a successful attack, enemy corpses with their trouser pockets turned out immediately appeared. While being assisted away from the firing line, mortally wounded North Carolina colonel Henry Burgwyn nearly had his vest pocket watch stolen by a South Carolina lieutenant who is helping him off the field. Overall, the author drives his narrative forward with taut observations of the soldiers. Rebels “fell all over themselves with laughter” when they discover that Pennsylvanians believe there are secret handshakes and facial expressions that will spare them the invaders’ deprivations. Federals soldiers along the roads “began to straggle and brigades leaked clots of exhausted soldiers”. Federal army commander George Meade remained cordial with corps commander John Reynolds “but privately his letters curdle with envy” when Reynolds received a promotion in 1862. Wisely Guelzo does not attempt to definitively answer contentious problems. Did Confederate cavalry commander J.E.B. Stuart lose the battle by “galloping off on a senseless joy-ride” as the invasion began? Did Confederate corps commander Richard Ewell lose the battle because he lacked the energy and the ruthlessness to drive the Federals off Culp’s Hill during the evening of July 1? The author puts forward his reply to these and other questions. Guelzo believes that both reason and self-interest contend for readers’ opinions on these questions. He is not argumentative; he states his case on moves on. The author takes full advantage of a pair of remarkable resources. Gettysburg is the only battle to have its own magazine. Gettysburg Magazine, founded in July 1989, has published 47 issues of new scholarship on the battle and campaign. In its 24 years, it has offered troves of recently found diaries, reports, and changing interpretations on topics such as African Americans in the Gettysburg campaign, cavalry battles surrounding the main battlefield, the gathering of military intelligence and the farmstead hospitals. Also, Gettysburg National Military Park regular presents a scholarly seminar and publishes the conference proceedings which Guelzo regularly cites. Both George Gordon Meade's and Robert E. Lee's backers may disagree with Guelzo's conclusions. He believes that Lee never had a clear grasp of the terrain and the tactics to deal with an enemy and Meade was reluctant to fight on July 1, 2, and 3. Also, the July 3 cavalry battle, Farnesworth's Charge and the advance of the the Pennsylvania Reserves brigade after the Grand Assault are described as fully as they may have been. Guelzo does provide insights into the Virginia clique in the Army of Virginia and to the Peace Democrat generals of the army of the Potomac. Gettysburg: The Last Invasion is enjoyable, not only for its scholarship but also for its storytelling. “The sun soon came up, a dim blood-red disc behind the clouds on the eastern horizon” is reminiscent of the best writing in Stephen Crane’s The Red Badge of Courage. Suspense is still found in the familiar story of Gettysburg. “So, rather than wait to be hunted by the Yankees . . . Lee would go hunting himself for the climatic victory he had always wanted” writes Guelzo. Gettysburg: The Last Invasion is indeed a remarkable achievement. Portions of this review appeared in the Pittsburgh Post-Gazette, June 30, 2013. A Cutting-Edge Second Look Ath the Battle of Gettysburg: New Technology Has Given Us The Chance To Re-Examine How The Civil War Battle Was Won And Lost, Anne Kelly Knowles, June 30, 2013. The technological limits of surveillance during the American Civil War dictated that commanders often decided where to deploy their troops based largely on what they could see. We know that Confederate general Robert E. Lee was virtually blind at Gettysburg, as his formerly brilliant cavalry leader J.E.B. Stuart failed to inform him of Federal positions, and Confederate scouts’ reconnaissance was poor. The Confederates’ field positions, generally on lower ground than Yankee positions, further put Lee at a disadvantage. A striking contrast in visual perception came when Union Gen. Gouvernour K. Warren spotted Confederate troops from Little Round Top and called in reinforcements just in time to save the Federal line. What more might we learn about this famous battle if we put ourselves in commanders’ shoes, using today’s digital technology to visualize the battlefield and see what they could see? Our team, which includes myself, researcher Dan Miller and cartographer Alex Tait, have done just that. Alex recreated the 1863 terrain based on a superb map of the battlefield from 1874 and present-day digital data. Dan and I captured troop positions from historical maps. Our interactive map shows Union and Confederate troop movements over the course of the battle, July 1 – 3, 1863. Panoramic views from strategic viewpoints show what commanders could – and could not – see at decisive moments, and what Union soldiers faced at the beginning of Pickett’s Charge. You will also find “viewshed” maps created with GIS (Geographic Information Systems). These maps show more fully what was hidden from view at those key moments. Altogether, our mapping reveals that Lee never had a clear view of enemy forces; the terrain itself hid portions of the Union Army throughout the battle. In addition, Lee did not grasp – or acknowledge – just how advantageous the Union’s position was. In a reversal of the Battle of Fredericksburg, where Lee’s forces held the high ground and won a great victory, Union General George Meade held the high ground at Gettysburg. 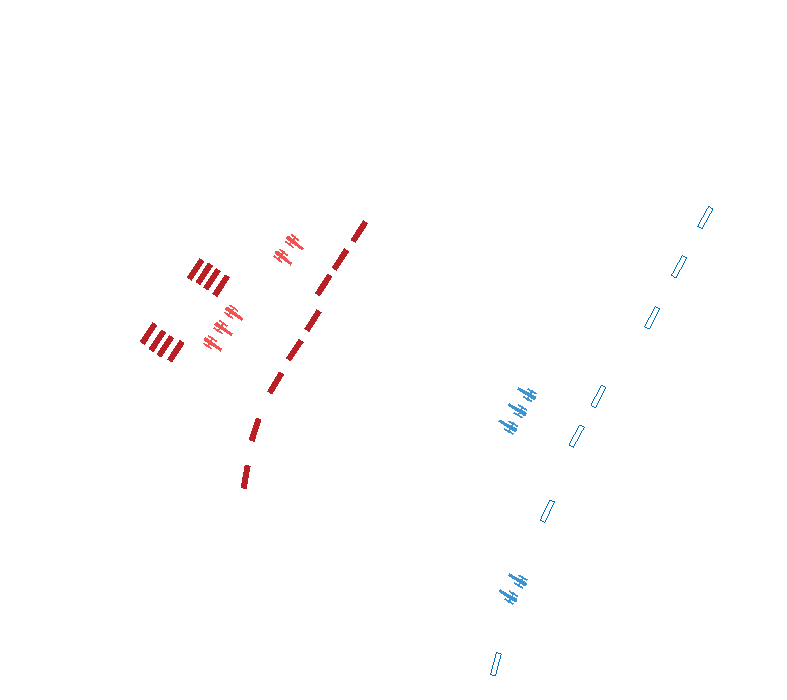 Lee’s forces were spread over an arc of seven miles, while the Union’s compact position, anchored on several hills, facilitated communication and quick troop deployment. Meade also received much better information, more quickly, from his subordinates. Realizing the limits of what Lee could see makes his decisions appear even bolder, and more likely to fail, than we knew. 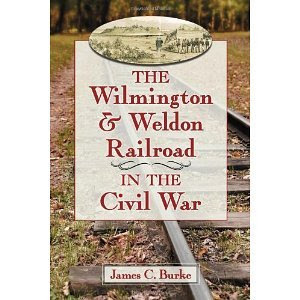 James C. Burke has had a long interest in the story of the Wilmington & Weldon Railroad. His first book on the topic, published in 2011, was entitled The Wilmington & Raleigh Rail Road Company, 1833-1854. It focused on its founding and early development. The book being reviewed here, The Wilmington & Weldon Railroad in the Civil War, continues to trace the story of the railroad during the Civil War years. The Wilmington & Weldon Railroad has been called the “lifeline of the Confederacy” especially during the last years of the war. Burke, however, shows that the story of this railroad line is much more complex. He demonstrates that the railroad not only transported badly needed supplies from the port city of Wilmington to Robert E. Lee’s Army of North Virginia, but also served as an important link to other railroads that were bringing in supplies from other areas of the Confederacy. Burke shows that the railroad achieved much and deserves its “lifeline” title, but it was also plagued with numerous problems. For example, different sized railroad gauges used by trains coming from other Southern states caused some problems. Having to unload and reload food in order to change trains often resulted in food left piled up for days and spoiling while Lee’s army starved. Other challenges included several Union raids, such as those launched by Major General John G. Foster’s forces from New Bern, North Carolina. The tracks were repaired fairly quickly, but the raids demonstrated the vulnerability of the railroad. The greatest problem, however, was the fact that the railroad was simply not designed to handle the large volume of goods and soldiers that a war demanded. There are many strengths and some weaknesses in this book. On the one hand, Burke’s uncovering of the railroad acting as a conduit for supplies from across the South has already been mentioned. Burke also dug deep into records and primary sources making this a very well-researched book. On the other hand, his fondness for numbers and details--the amount of food, clothes, soldiers, etc., transported--sometimes lacks a human element. What would have made the book a better read, perhaps, is greater focus on the personalities involved, such as S. L. Fremont who took over leadership of the railroad after the untimely death of President William S. Ashe. Fremont was a key force in keeping the railroad going despite all of its challenges. Then, too, the book sometimes drifts off into a history of the city of Wilmington and the problems it faced during the war, which is interesting but is a bit off target. Nevertheless, this book is very well-researched and provides a solid and insightful picture of the impact of the Wilmington & Weldon Railroad on the American Civil War.